The Surface Pro 3 touts itself as the tablet that can replace your laptop. Well, maybe. It is fast, with it’s Windows 8.1. That’s one thing to consider when setting up your act! on the device. Can your version of act! run on Windows 8.1. You do need act! 2013 or newer. (Don’t have a version that new? We’re happy to help with upgrades!) 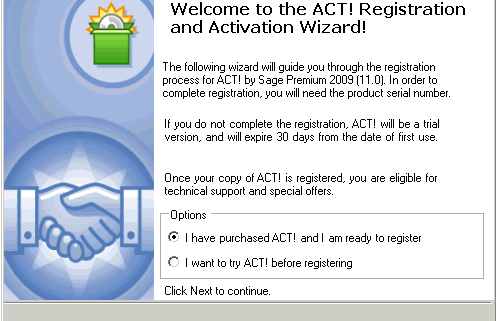 Installing act! on the Surface Pro 3 isn’t so much the issue. The calls we get are about the dialog boxes, field labels and anything else font related being, well. . . screwy. Let’s look at why and how to work around that. One thing is, the Surface Pro 3 has a pretty amazing display, capable of resolution you’d see on a 24″ or larger monitor. 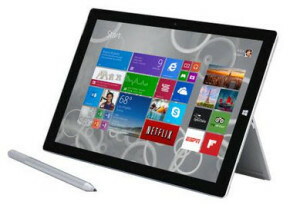 The Surface Pro 3 comes out of the box with a default resolution of 2160 x 1440 pixels. On the tablet-sized screen, this means the default font would be so tiny, no one over the age of 25 can see it. To sort of work around that, Microsoft bumped the scaling in the Display Settings up to 150%. That means in many programs, in our case, act!, things wrap all goofy, buttons are bumped off the screen, and dialog boxes are simply messed up. Now, on to the work around. . .
3. Change the resolution to 1600 x 900. Take a look and see if that resolution works, if so choose “Keep Changes”. If not, click Revert and try another, lower resolution. The combination of these things should make your act! experience, and your eyes, far happier! Not completely comfortable with all of this? Give us a shout, we can certainly help. Call us at (614) 221-0276 or e-mail support@trilogycrm.com. The following steps will assist you in creating a backup of your ACT! database. These instructions are provided to assist you in preparing your database to be uploaded to the TrilogyCRM ACT! Hosting Server. Please note that Act! has security features which apply to backup functions. Only Administrator and Manager level users have access to the database backup and restore functions. If you are unable to access these functions, please contact your Act! Administrator. You receive the e-mail from your ACT! 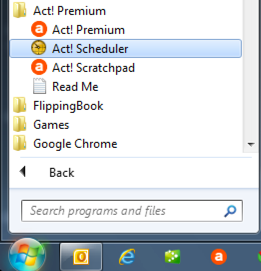 admin, your ACT! CC, or your hosting provider (hopefully TrilogyCRM!) and you follow the instructions to apply your Service Pack. The file starts to unpack and. . . “There is not enough space on drive C:\ to extract this package”. What? You know you have about 14TB open. This is an iddy biddy file. You have tons of disk space! It’s true, you do have enough disk space. If you copy the file the file, within the folder, it should extract just fine. In most cases, the file will be in your Downloads file. If you chose a different location, substitute that location where we reference the Downloads folder. The file should extract and you’re on your way to Sage ACT! 2013 SP1! http://www.trilogycrm.com/wp-content/uploads/TrilogyCRM_logo_color1.png 0 0 Michelle Scott http://www.trilogycrm.com/wp-content/uploads/TrilogyCRM_logo_color1.png Michelle Scott2013-01-10 21:23:582013-01-10 21:41:10I do too have enough disk space! ACT! 2013 SP1 does include a database schema update. That basically means the format of the database is changed as part of the update. All of the databases, server and remotes, have to be running the same version. So, the first step is to check the version. Click Help, then About ACT!. 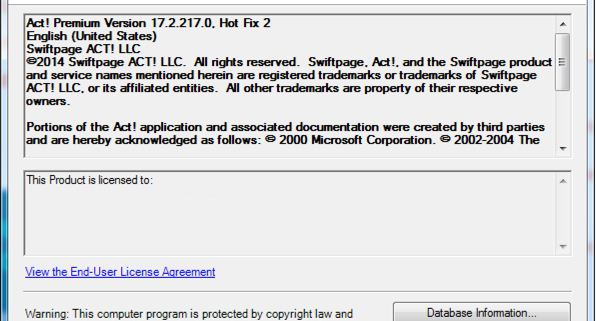 If you are running SP1 the version is Sage ACT! 2013 Version 15.1.108.0. At this point, you should get in touch with your database administrator. The ACT! database admin can login with their credentials, update the database, log out and then you are on your way! Of course, should you prefer expert help with applying the service pack, you can always engage TrilogyCRM’s support team. Give us a call at 866.303.0276 or for the quickest response, e-mail us at support@trilogycrm.com. There are so many reasons the term “cloud-based” is in just about every tech conversation these days. Retirement of servers, desktop support, standardization – they are all viable reasons. The definition of cloud-based varies as well. The key to any of the definitions is out-sourcing. Getting something off your plate and letting someone else handle it. Another great reason is the security of having experts behind your database should something go wrong. Recently a customer called in a panic. She had deleted virtually their entire database. It’s easier than you think. We all go about a mile-a-minute in our business day. It’s easy to just click something you don’t mean to click, and then “oops”, all the Contacts were gone. Since this is a Hosting customer, we were able to calm the user down, recut a remote database and all was well with the world within 20 minutes of her call. While we were getting her remote database cut, she was able to access the main database via the web. The customer barely skipped a beat. In another recent customer incident, a self-hosted customer, their server was fried during a recent storm. Their IT department had their database backing up via tape drive. Fast forward 2 days and the IT company digging through tapes to reconstruct their ACT! files, we had to restore a database backup that was more than a month old. Whether you are downsizing your server room, looking to shrink the burden of desktop support, outsourcing your ACT! hosting makes sense. It’s peace of mind and it’s smart business.